Good sales and marketing people are hard to find, we hear you say. Not with us on your side. 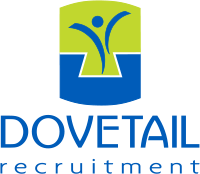 Dovetail Recruitment has recruited talented sales and marketing professionals for a wide variety of businesses for years. We know people who know how to hit targets and drive your business forward. It’s never one-size fits all – sales and marketing recruitment is an increasingly fragmented field: Telesales, business development, traditional marketing and digital marketing. Whether you’re looking for great people to join your team, or you’re seeking one of these roles, we can get together and make great things happen. We look after all sales & marketing in all the key sectors including: FMCG, Manufacturing, IT, Engineering, Distribution, Construction and many more. If you’re a recent graduate or at executive level, you can search a variety of sales & marketing jobs. We are the experts in Sales Recruitment and Marketing Recruitment, contact us for more information. Marketing salary surveys – is it time for a change?